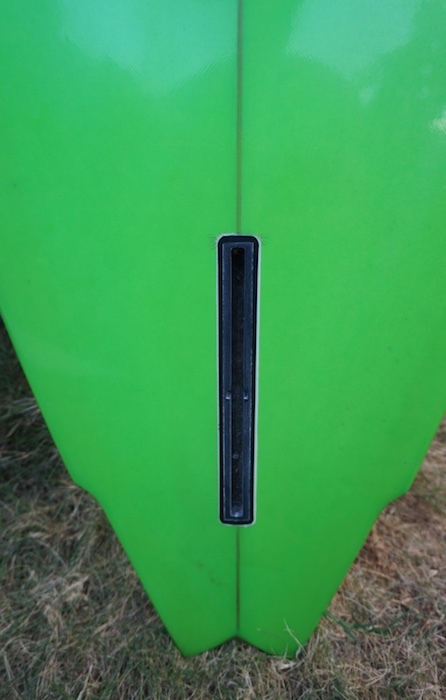 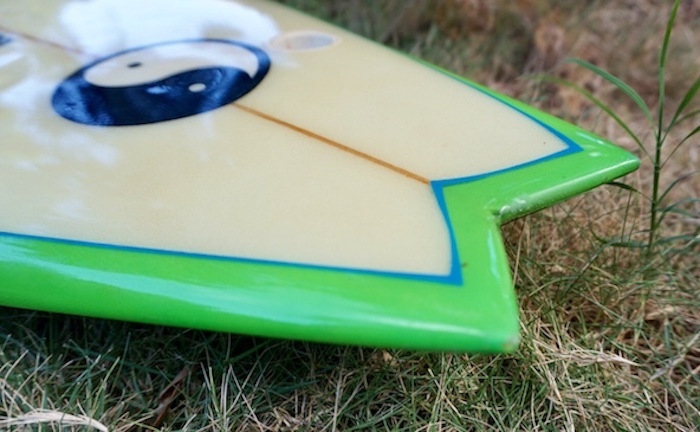 All original Town & Country (T&C) 6’0 single fin #9034 shaped by Dennis Pang. 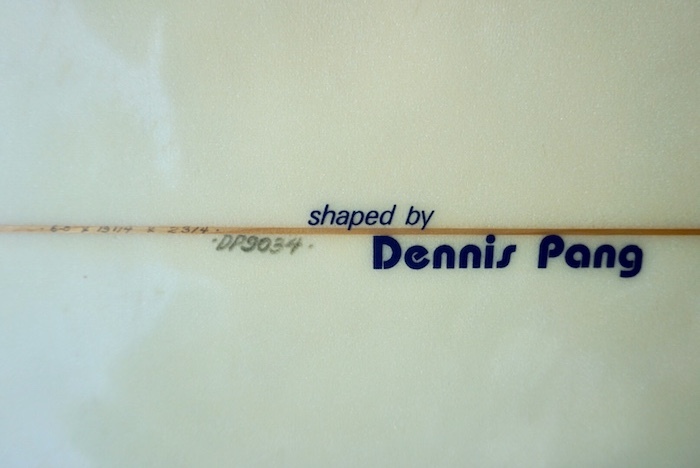 This board, along with the gray 6’5 Dennis Pang #9035 are consecutive serial number boards made in 1990. 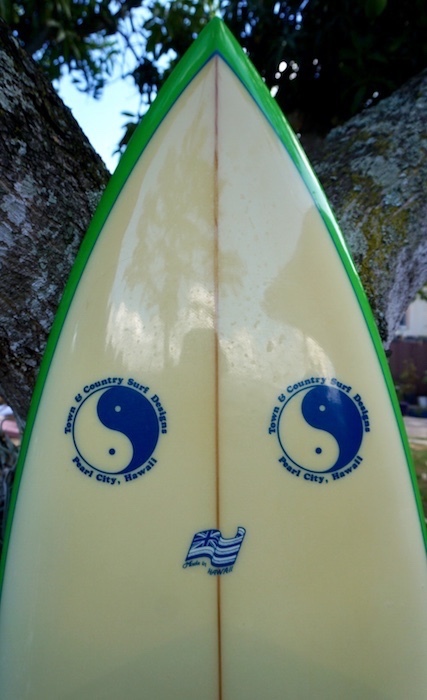 Note: The Yin and Yang symbol is a lam, not a sticker.